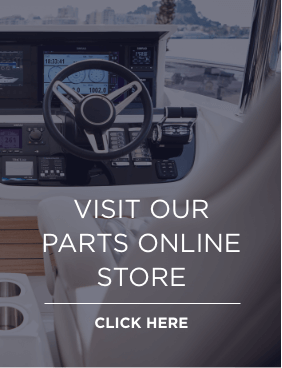 From the moment you step aboard her teak decking, this exciting all-new addition to the Flybridge range – the Princess 55 – is wonderfully progressive, incredibly efficient and classically Princess. 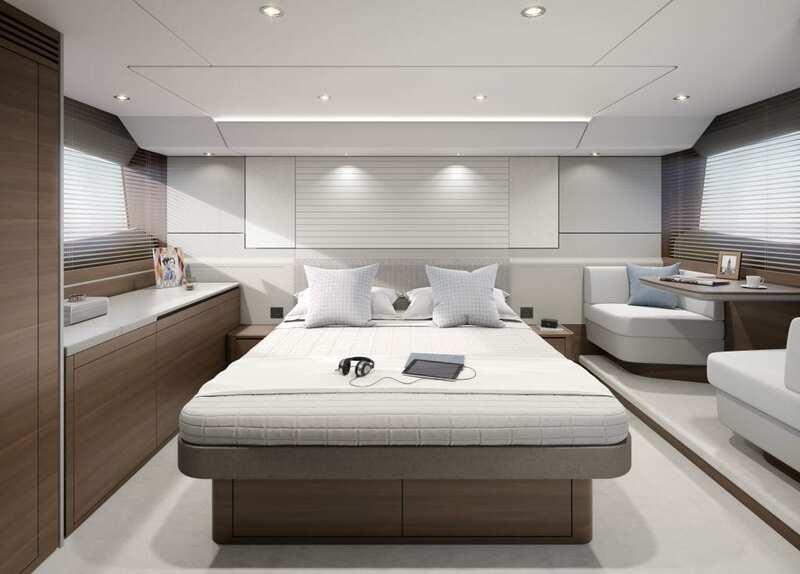 With the vast flybridge boasting L-shaped seating which converts to a sunbed, twin helm seats, a wetbar and a further U-shaped seating area, you will not be short of space to entertain your family and friends. Alongside dual station controls and the option to add waterproof speakers, linked to the saloon stereo, you can cruise effortlessly to your favourite soundtrack. Testing at a top speed approaching 33 knots, magnificent refinement and performance are in equal measure. 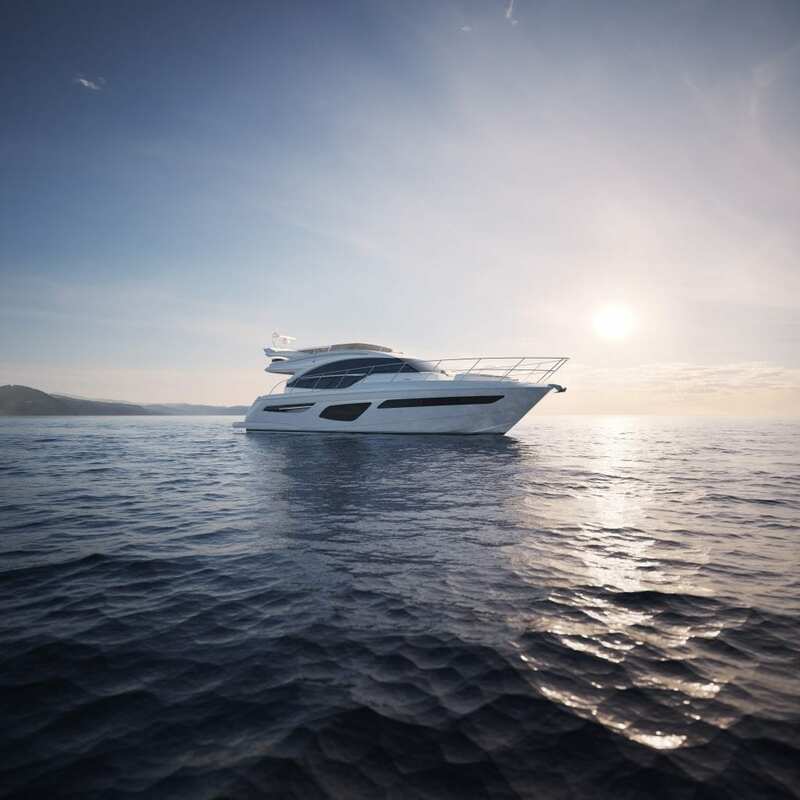 The design philosophy of the Princess Flybridge range is a fusion of timeless exterior profiles with interior layout solutions, defined by beautifully crafted furniture and upholstery and you will not be disappointed with what the new Princess 55 has to offer. The interior space of the newest Flybridge model has a new saloon sofa styling and a cleverly designed coffee table, combining the textures and colours of timber, glass and leather. All of which builds on the contemporary feeling and relaxed appearance of all the yachts in Princess’ range. Expansive hull windows generously flood the interior with light, creating a truly tranquil environment to read your favourite book or relax with your loved ones. Six guests are comfortably accommodated in three cabins including a full-beam en-suite master stateroom, en-suite double guest cabin forward and a twin cabin with the option of a double bed conversion. 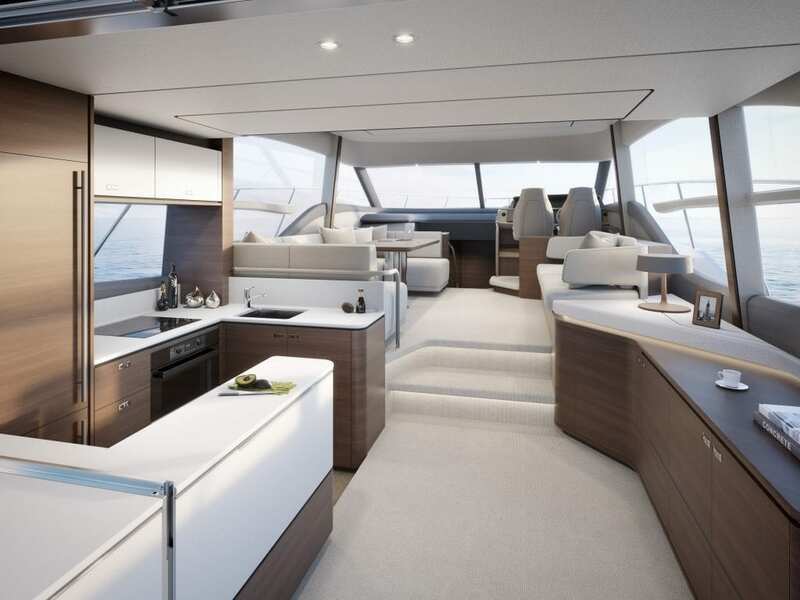 There is also an optional single aft cabin with en-suite. The Princess 55 will be making her global debut at the Southampton Boat Show, 15th-24th September 2017.